Fabulous, glamorous Deauville on the Normandy coast – just a two hour train journey from Paris – knows how to look after its guests. Whether you come here to inhale sea air, spot celebrities (especially during Deauville's American film festival) or up the star rating on your all-over tan, you'll find a town that is primed and equipped to rejuvenate, satiate and titilate – it can't help it, it was designed that way. 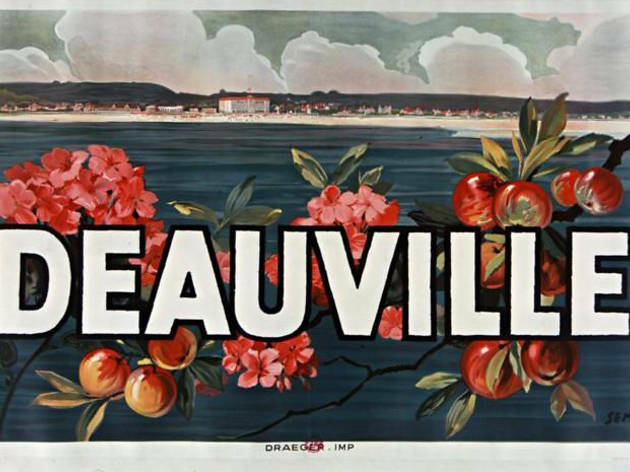 Deauville was born in the mid-19th century when the Duc de Morny, Napoleon III's half-brother, recognised an opportunity to tap a spawning tourist trade and build a racecourse on an empty patch of the Côte Fleurie, just across a narrow stretch of water from Trouville. Later he added grandiose hotels and a casino, and by 1910 the town was established as a prime holiday destination for Parisian jetsetters and British aristocracy. This early growth period has indelibly left its mark on the town's personality: the bright bathing huts and famous beach-side boardwalk, designed to protect ladies' flowing dresses, hark back to more genteel days, while the local spa centres, horse-riding and gourmet food market (Place du Marché, Tue, Fri and Sat mornings) honour the tenets of 'bien-vivre'. Like the French Riviera, Deauville caters to old-style leisure and wealth: there are two marinas, three golf courses and a yacht school. The occasions to drop Euros are endless: serious designer boutiques, top-notch restaurants and Parisian-style cafés (with the price tages to match) line the streets. Then there's the Casino Barrière, just behind the seafront. This bastion of Belle-Epoque elegance, built by George Wybo in 1912, cannot be missed. Faites vos jeux like Coco Chanel – but unless you are Coco herself, ID will be required, and for some rooms, formal attire. Deauville is no museum piece. Its population swells in season when the sweeping expanse of beach fills with multicoloured parasols; watersports and sand-surfing keep the restless occupied. An energetic calendar also reels in the crowds with international polo and racing events, and the American Film Festival in September. Just a dice tumble away, the 17th-century port town of Trouville shares the same railway station. Family-owned shops, narrow back streets and a daily fish market lend Trouville an authenticity which its flashier sister lacks. Check out the beach casino (with one room decorated as a Louisiana paddle steamer), and Napoleon's summer residence, Villa Montebello (02.31.88.16.26), which regularly houses art exhibitions. If you decide to spend the night in Deauville, La Cérisée (15 rue Général Leclerc; 02.31.81.18.29) is a wonderful B&B in the heart of town with friendly hosts and rooms from €110/night. Or try the half-timbered, Normandy style Villa Joséphine (23 rue des Villas, 02.31.14.18.00), with Empire style rooms (from €119/night) and a chocolate-box garden. Restaurant wise, Augusto-Chez Laurent (27 rue Desirée le Hoc, 02.31.88.34.49) is a nautically-themed institution famed for its lobster dishes (lunch menu €18.50; dinner menu €40-€60). Another handy address to have up your sleeve is the diner-style Le Morny's Café (place Morny, 02.31.87.32.06), which serves food all day (mains €13), including breakfast. 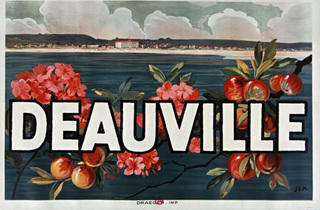 For more information on Deauville and Trouville consult the Tourist Office Website.